31 October 1950–31 March 2016 was an Iraqi-British architect & designer. 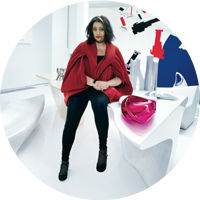 Zaha Hadid Architects is a British international architecture and design firm founded by Zaha Hadid. She was an Iraqi-British architect who became the first Arab woman to receive the prestigious Pritzker Architecture Prize. Known for her highly expressive designs marked by sweeping fluid forms of multiple perspective points, she was considered a pioneer in contemporary avant-garde architecture styles. Internationally renowned for her experimental styles and innovative designs, she was the mastermind behind the designs of the aquatic center for the London 2012 Olympics and the Broad Art Museum in the U.S., among others. Born in Baghdad into a wealthy family, she received a luxurious upbringing and attended boarding schools in England and Switzerland. Even as a young girl there was no doubt in her mind that she would one day pursue a professional career. Intelligent and ambitious, she studied mathematics at the American University of Beirut before moving to London to attend the Architectural Association School of Architecture. She eventually became a British citizen and started her own architecture practice which proved to be very successful. She also pursued a teaching career and undertook some high-profile interior work in addition to her architectural career. 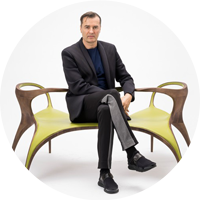 Patrik Schumacher born 1961 in Bonn and studied Philosophy and Mathematics in Bonn and Architecture in Stuttgart and London. 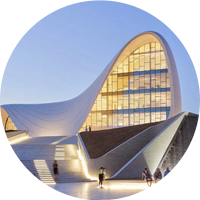 He is principal of Zaha Hadid Architects and is leading the firm since Zaha Hadid’s passing in April 2016. 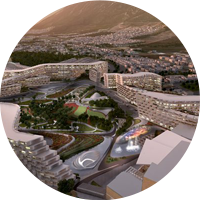 He joined Zaha Hadid in 1988, has been a co-author on most projects and was seminal in developing Zaha Hadid Architects to become a 400 strong global architecture and design brand. In 1996 he founded the Design Research Laboratory at the Architectural Association where he continues to teach. He is lecturing worldwide and recently held the John Portman Chair in Architecture at Harvard’s GSD. Over the last 20 years he has contributed over 100 articles to architectural journals and anthologies. 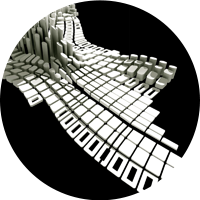 In 2008 he coined the phrase Parametricism and has since published a series of manifestos promoting Parametricism as the new epochal style for the 21st century. In 2010/12 he published his two-volume theoretical opus magnum “The Autopoiesis of Architecture”. He recently guest-edited the magazine AD – Parametricism 2.0 – with a new emphasis on the societal relevance of Parametricism. His contribution to the discourse of contemporary architecture is also evident in his published works and interviews which can be read at patrikschumacher.com.